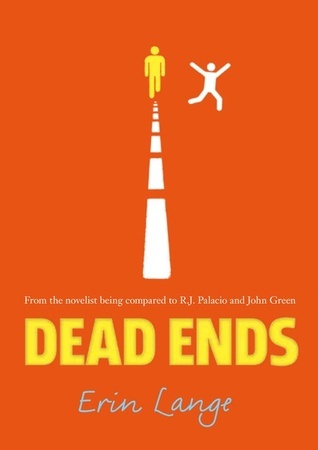 Thanks so much for letting me stop by today to introduce Billy D., from my new book, DEAD ENDS. It’s difficult for an author to pick a favorite character from her own books, but if pressed, I would have to say I love Billy D. above them all. He is a younger teen with Down’s syndrome, but his condition defines him no more than any of his other traits, which include endless optimism and quite a bit of cunning. Billy D. struggles with school, especially reading and writing, but he chooses to focus on his strengths. In fact, he is confident almost to a fault. “I don’t need a geography class,” Billy said. His voice sounded calmer than his movements. He was fumbling with the zip on his backpack, trying to stuff the atlas back inside. “I’m awesome at geography.” He tugged the zip hard over the corner of the book. But Billy also knows when to ask for help, which is why he seeks out our main character, Dane. In addition to enlisting Dane’s help finding his missing father, Billy also asks Dane to teach him how to fight. And even when the lessons don’t go quite as planned, Billy’s confidence remains intact. Loveable as he is, Billy D. is not without his faults, and he manages to get Dane into a lot of trouble, but for more on that, you’ll have to check out the book! Book Blogger UKYA Award Nominations – Open now! !